A Southern Utah University alumnus, John Meisner earned a bachelor of arts degree and a master of education degree at SUU. Currently, he works in the educator preparation program in the university’s College of Education and Human Development. His work focuses on secondary education and content literacy. Previously, Meisner taught English for Clark County School District in Las Vegas, Nevada, and Iron County School District in Cedar City, Utah. During his time at the Iron County School District, he worked as the professional development, English as a second language, and new teacher induction coordinator. He also worked at the Utah State Office of Education in curriculum and assessment. At SUU, Meisner also serves on the Allies on Campus committee working to support LBGT+ students and faculty through social events and educational outreach. He is an advocate for addressing the devastating suicide rates among LGBT+ youth in Utah. Data Driven Instruction in Education LGBTQ+ Suicide in Utah Educator Preparation Education Second Language and Curriculum Development Suicide Prevention LGBT Inclusion Content Area Literacy Secondary Education Second Language Learning LGBTQ+ Advocacy in Higher Education Economic Foundations of Education in the U.S. It was when Meisner realized he wasn't getting fixed because he wasn't broken that he fully accepted his authentic self, to which he gives much credit to his friends and colleagues, but he valued the acceptance from his children and ex-wife the most. 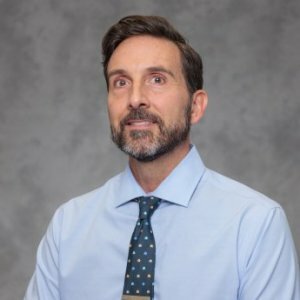 He's since developed a sense of "extreme urgency" to do more to unveil facts about LGBT youth suicides, specifically finding statistics that better reflect the Southern Utah community — which Meisner said he believes the rates are "catastrophic." In a time of instability for many, celebrating the big and small victories are what keeps them going. Equality Utah's 7th Annual Equality Celebration has adapted to social change throughout the years, and with the theme "Don't Stop Believing," event coordinator Linda Stay said the LGBT community needs to come together and celebrate the wins that it's had in order to keep moving forward. For John Misner, who's being honored at the event, he said there were no resources for him while he was fighting an internal battle over his sexuality before he came out as gay in 2012. Without a community of support or close friend base, Misner said he felt a deep sense of hopelessness that was extremely suffocating at times. Suicide is the leading cause of death for teens and young adults, according to a report by the Utah Department of Health. For Cedar City resident John Meisner, home and church were his whole world, but his life almost ceased to exist due to the constraints he felt within his world. 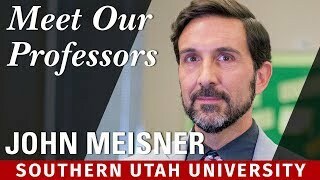 Meisner currently works for Southern Utah University as an assistant professor of education. While SUU has clubs such as Allies on Campus, and resources for counseling, local high school students might have more difficulty finding a friend to talk to if they feel they can't talk to their parents, Meisner said. This course explores the historical, philosophical, political and economic foundations of education in the United States. Topics include multiple perspectives, current events, and trends and issues. This course will provide students with a comprehensive overview of the Professional Teacher Education Program including standards, requirements, and models of effective teaching. This course provides 21st Century teachers with the knowledge and skill to read, understand, implement, and conduct research in their classrooms. Emphasis will be placed on data-driven instruction. This course sets criteria, strategies, & techniques for writing the M.Ed. Thesis or project Proposal utilizing APA guidelines. This course prepares students for all aspects of elementary curriculum planning, instructional delivery, and assessment strategies. A professional teaching unit and work sample will be completed. This course prepares students for all aspects of secondary curriculum planning, instructional delivery, and assessment strategies. A professional teaching unit and work sample will be completed. This course examines processes and strategies to assist pre-service candidates in improving the vocabulary, comprehension, and writing skills of their students. Strategies will be emphasized. Teacher Candidates will construct a unit with content literacy strategies that assists diverse learners.